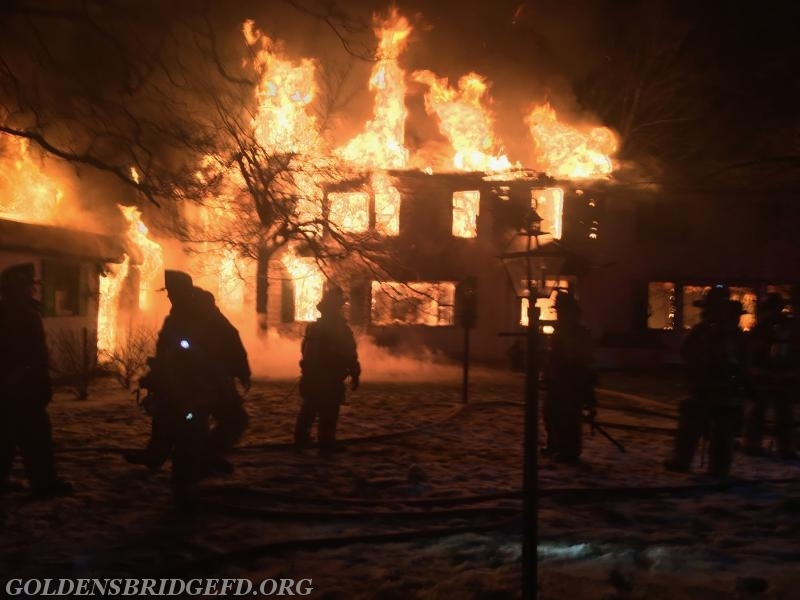 Around 5:20 Friday Evening, December 29th, Somers Fire was dispatched to a reported structure fire on Mahopac Ave. 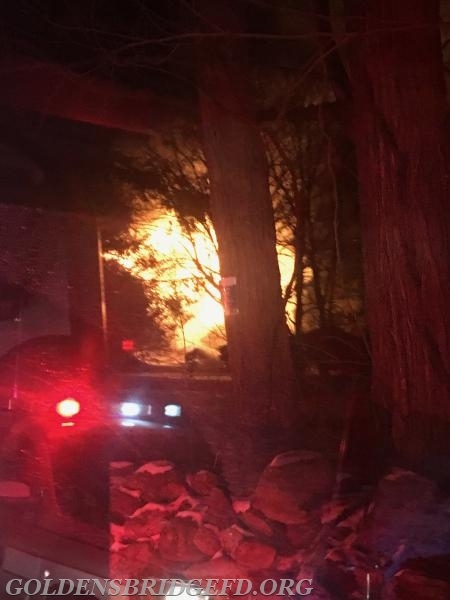 While Somers units were responding, Somers Car 2441 called for a 10-75 working fire assignment due to multiple 911 calls reporting an active house fire. 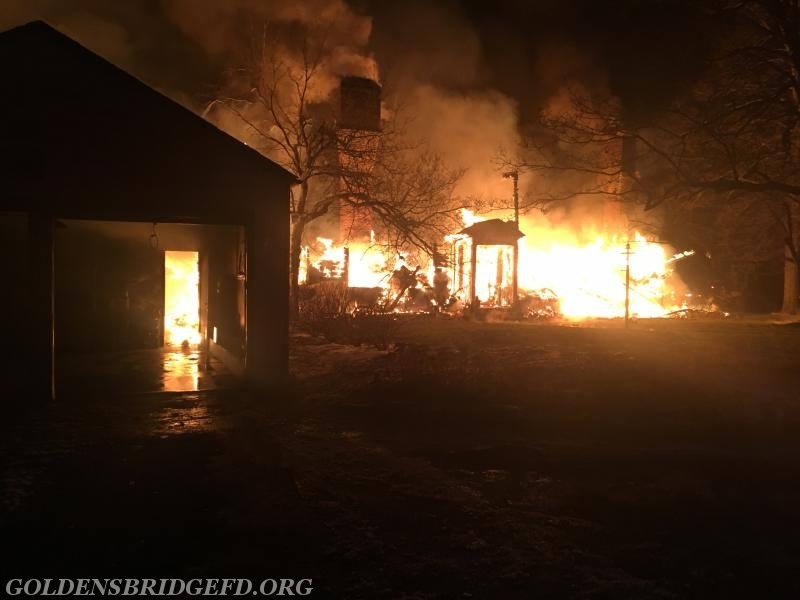 With that many mutual aid fire departments from Westchester & Putnam were requested. Upon arrival of Somers Car 2441, he called for his 2nd alarm assignment due to the fire conditions. 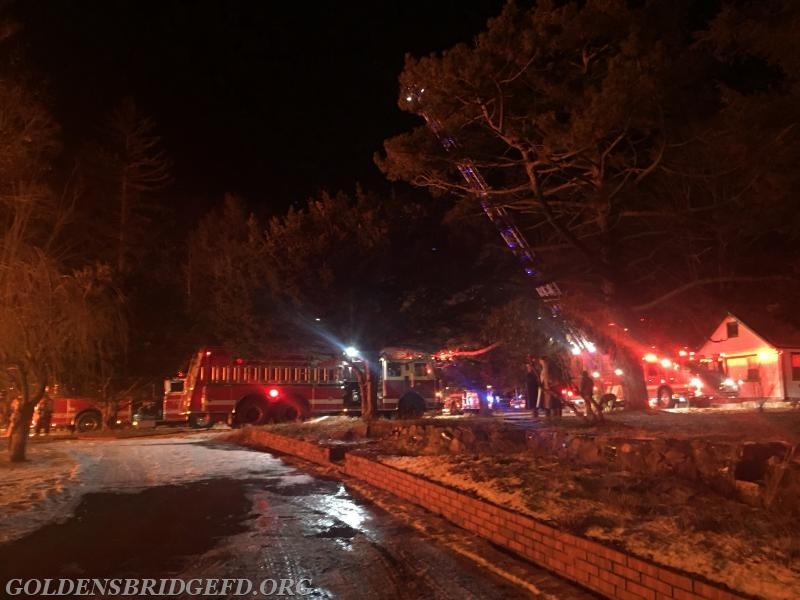 With the transmission of the 2nd alarm, Golden's Bridge Tanker 1 was requested to the scene. Within seconds of dispatch Car 2142 would be responding to the mutual request. 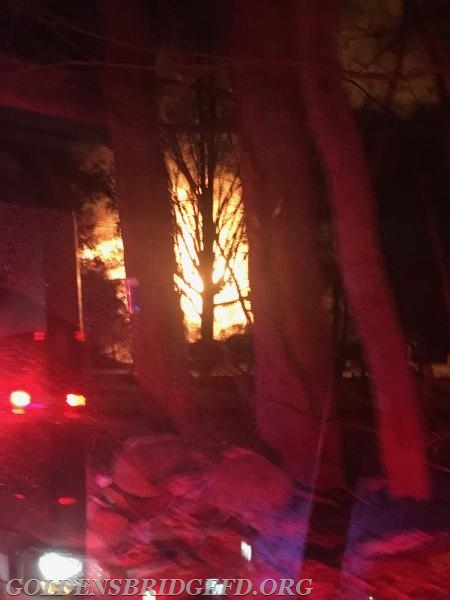 About a minute after dispatch Tanker 1 was on the road responding. Upon arrival, Tanker 1 was put right into tanker shuttle operations that were set up due to the lack of fire hydrants in the area. 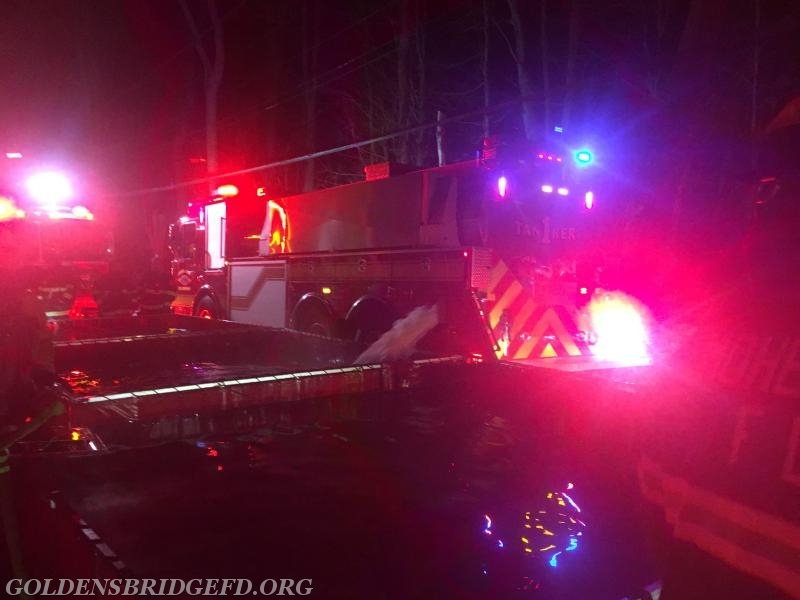 Other Golden's Bridge manpower that was on scene assisted Somers, Croton Falls and Katonah manpower with different operations on the fireground throughout the incident. 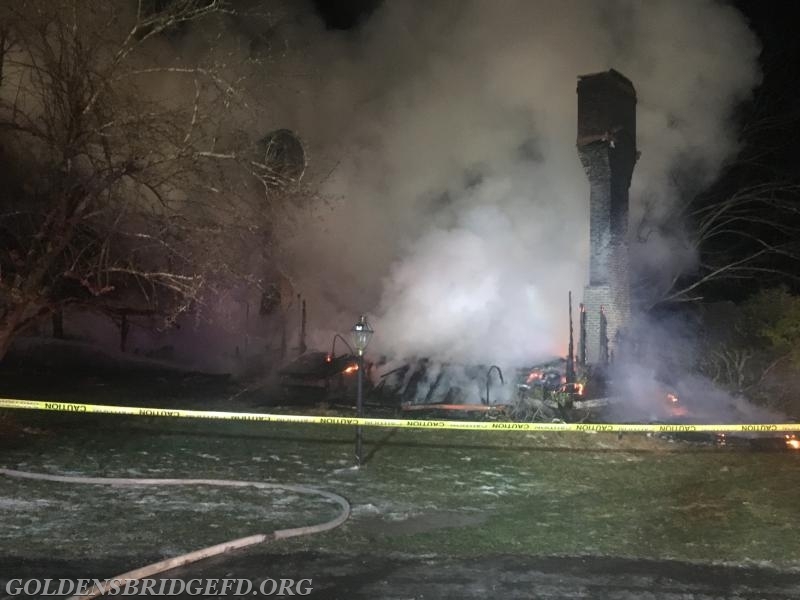 During this time, the stand by crew in Golden's Bridge handled a reported smoke in house call which turned out to be a problem with a wood burning stove. 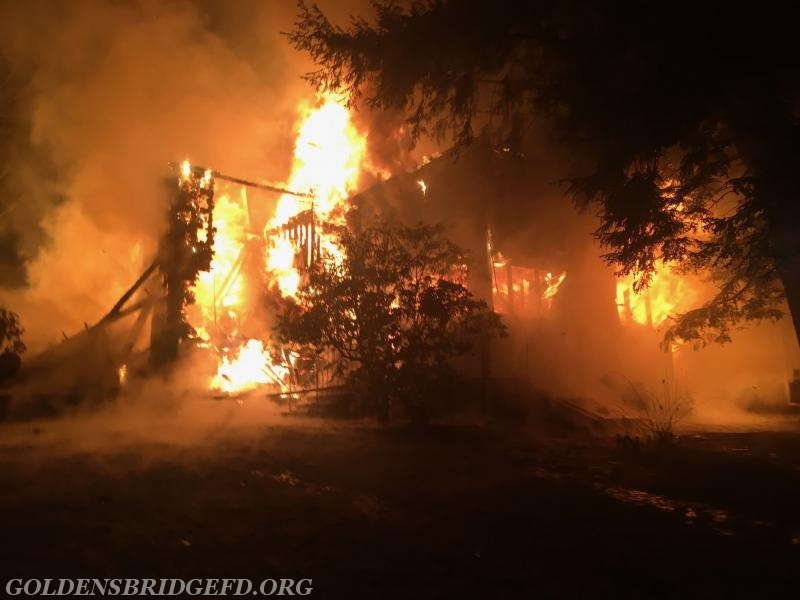 Golden's Bridge units were the last mutual aid units to be released from the scene. 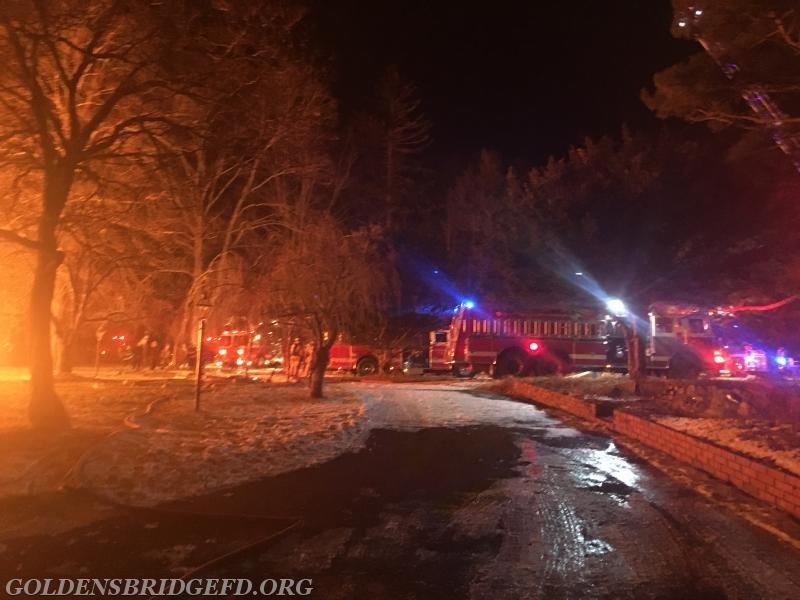 After nearly 7 hours of operating in blistering cold conditions, at around 1:30 Saturday morning, all units cleared the scene and returned to service. Units: GBFD-Car 2142, Car 2145, Car 2149, Tanker 1. Standing By at GBFD HQ-Car 2141, Car 2143, Car 2144, Car 2148 and Manpower. Arrival photo taken from Tanker 1. Another arrival photo taken from Tanker 1. A look at one side of the house involved with heavy fire conditions. A look at another side of the house involved with heavy fire conditions. A view of the fire building after a major collapse. A look up the driveway showing some the operations. Another look at operations of the incident including the Ladder getting set up for master stream operations. Tanker 1 while in the Tanker shuttle operations. The house after the fire had been knocked down.